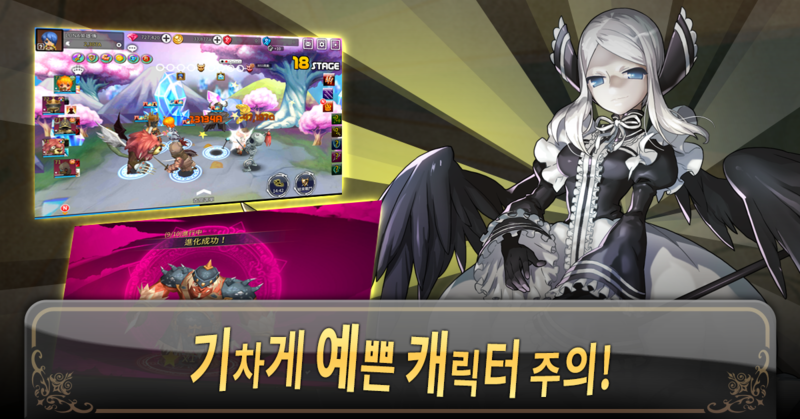 ☆★주의★☆드워프들의 수다가 정말 많습니다! !§§커뮤니티가 있어요! 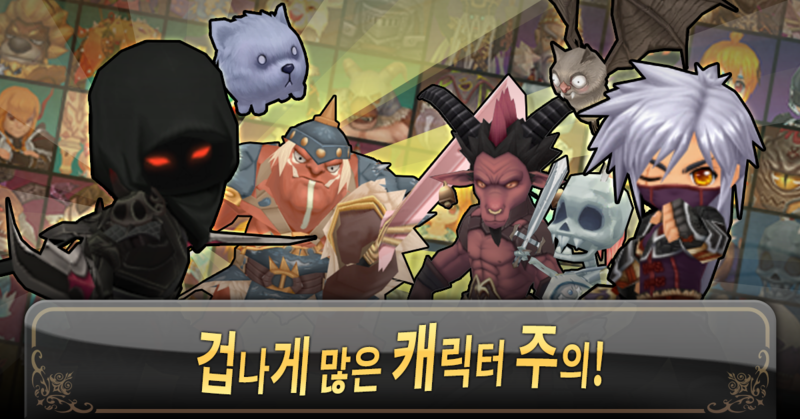 !카페에 놀러오시면 다양한 정보를 얻어가실 수있습니다!카페 주소 : http://cafe.naver.com/dwarflikesgold/■■■■■게임 소개■■■■■▷스토리 북유럽 신화에서 항상 신들에게 괴롭힘을 당하며, 꿋꿋이 살아가던 드워프가 새로운 신을 찾아 떠났다. 그 신은 바로당신! YOU! ▷ 드워프들은 무엇을 하나요? - 땅을 파고, 광물과 보석을 얻어 아이템을 제작합니다. - 몬스터를처치하고, 얻은 재료로 아이템을 제작합니다. - 보스를 처치하고, 얻은 재료로 아이템을 제작합니다. - 요일 던전을클리어하고 얻은 재료로 아이템을 제작합니다. - 그렇습니다... 땅파고 몬스터를 잡아 아이템을 제작하는 노예.. 아니드워프들을 키우는 게임입니다.▷ 드워프는 몇 마.. 아니 몇 명인가요? - 4가지 직업의 드워프가 5명씩 등장합니다. -속성별로 나뉘어져 나무, 불, 바람, 물, 무 다섯가지 힘을 하나로!! - 광산특공대! 캡틴마이닝!이 되어, 속성 별던전을 공략 해보세요! (들어본 듯한 멘트라면 당신은 이미 아재라는 증거! )▷ 아이템을 만들라구요? - 재료를 여기저기섞다보면 생각지도 못한 아이템이 등장할지도 모릅니다! - 하지만 플레이하면서 얻은 레시피를 응용하면 더욱 쉽게 제작할 수있지요! - 파밍, 제작, 전투, 클릭커, 성장, 진화! 핸드폰이 꺼지지 않는 광경을 구경하실 수 있습니다.▷ 글만봐도시끄럽다구요? - 누구보다 남다른 개그력! 어디서 봤다고 하시면 그것은 진짜 보셨을 가능성이 높습니다. - 현실에서는과묵하지만 게임에선 그 누구보다 시끄러운 개발진이 만든 그 게임, '드워프는 황금을 좋아해'와 함께하세요.▷ 드워프는황금을 좋아해는... - 방치하면 드워프들이 알아서 일하고 전투를 치르는 방치형 게임입니다. - 각종 광산에서 땅파는마이닝 즉, 땅파기 게임입니다. - 땅 파서 얻은 재료와 몬스터를 처치해 재료를 모으는 수집형 RPG게임입니다. -재료를 모아 만든 아이템은 제작의 희열과 노가다(노동)의 가치를 깨닫게 해주는 게임입니다. - 개성강한 드워프들과 즐거운시간을 만드는 행복한 게임입니다.서술이 너무 길었지요? 하지만 개발자인 저는 정말 과묵합니다.----개발자 연락처:[email protected] ★ ☆ ☆ ★Dwarf is really a lotof chatter!I have §§ community!Come hang out in the cafe you can goget a wealth of information!Cafe Address:http://cafe.naver.com/dwarflikesgold/About ■■■■■ game ■■■■■▷Story Dwarf danghamyeo always bullied hisway to the gods in Norse mythology kkutkkutyi alive and left tofind a new god. That God is right for you! YOU!▷dwarf what they do? - Digging, get the minerals andjewelry produced items. - The killing monsters, anditems manufactured with materials obtained. - Aid to theboss, and the production of the items and materialsobtained. 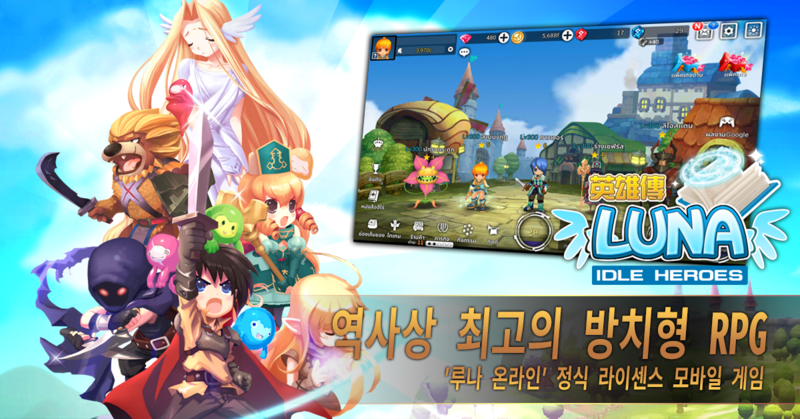 - Clear the dungeon day and making materialsacquired the items. - Yes ... slaves to produce theitems the earth dug out the monster ... not a dwarf raise thegame.▷ few dwarves do not ... How many people? - Thefour dwarves career appeared five kills. - Propertiesdivided by wood, fire, wind, water, no one to five kinds ofpower! - Mine Raider! Mining is the captain!, Trytargeting the property by thedungeon! (Example, if the garment you likebuttercups evidence that already! )▷ raguyo creatingitems? - Material mix here and there you may think thismap item appeared not look! But when applying the recipegained while playing I can more easily create! -Farmington, production, combat, click large, growing, evolving! Youcan watch the spectacle does not turn off cell phones.▷ I look onlyposts loud? - Gag extraordinary power than anyone else!Where it is likely that you saw real have seen. - In anoisy game, but in reality reticent than the development team whocreated the game, Join the 'dwarves like gold.▷dwarf is like a golden ... - Is left alone game dwarveswork taking care of the battle if left untreated. - Thatis digging mining, digging games in various mines. - TheRPG-type game collect material to collect material for scoring aparser land and monsters gained. - Item made of thematerial gathered is a game that realize the value of production ofecstasy and nogada (labor). - Happy to make the game afun time with a strong personality dwarves.This description eotjiyotoo long? But I am really reticent developer. Get Star Gems(virtual currency) with our Share Campaign! *Deliveryperiod until 30 November 2018 16 Nonember 2018 Update ・New RankingEvent "A Dream of A Dragon and A Girl" released During the event,　you can accept the quests relating the Dragon and theMysterious Girl from NPC Stanley in Vinculum Upper District. ・NewMap [Inside Cathedral 5th floor to 10th floor] has been added! *New Monster [Cursed Type] appears! *New Moonshine Weapon[Young Moon] and [Arrow Moon] ---- ★What is the free-to-play RPGStellacept Online★ Stellacept Online is a beautiful game in whichyou can inflict devastating combos by taping your screen at theright moment, or unleash a terrible power with the Burst Pointsearned by beating enemies. Chat in real time with other players tocooperate and to help each other!. Play as a soldier who fightsagainst the terrific Tarazed to save the people of Sadalsuud.Become strong by developing and evolving your Stella. ★Abouttransferring characters between Android devices★ Google IDs (GoogleAccounts) are used to verify the Android versions of StellaceptOnline. Setting up with a Google Account can restore your accountdata in the following cases: ・Synchronizing with a new device.・After having reinitialized your device, or after a breakdown.★Destroy your enemies with breathtaking combos and skills!★ Anintuitive battle system with an innovative combo system whichprovides a lot of freedom of action. Tap your screen at the rightmoment to trigger the special skills! 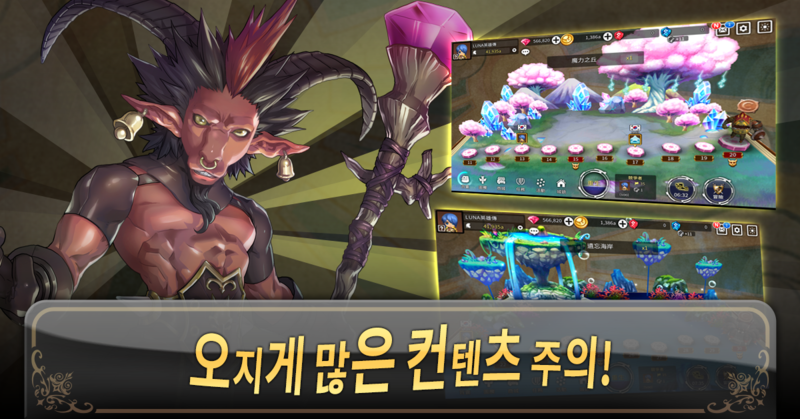 ★Anyone can experienceexhilarating moments thanks to the Burst System!★ Unleash aphenomenal power by using the Burst Points collected by defeatingenemies and beat the mightiest monsters!-------------------------------------------- **Please note** ・Thisgame is to be used online. ・Loading times may vary depending on thedevice used. ・The game may not be available depending on certaincircumstances (eg: customer's network failure, emergencymaintenances). ・We please you to behave correctly and to not annoyother playerｓ while playing. ・Latencies and disconnections mayhappen in crowded maps. ・Please try the game for free to check itscompatibility with your equipment. ・If your device gets hot whileplaying, quit the game and check your configurations beforeresuming. ・We cannot provide support in case of using applicationwhich the manufacture does not guarantee operating, includingrooting/jailbreaking apps.-------------------------------------------- Stellacept Online, thefree-to-play SF/fantasy MMORPG with a stunning and kicky gameplay! Bit Heroes captures that charm and nostalgia of your favoriteRPG's! Explore and battle your way through a vast open worldinspired by your favorite 8-bit & 16-bit dungeon heroes andmonsters. Collect & craft endless pieces of loot from dungeonexploration to increase your power and build your team by capturingmonsters and heroes to battle at your side in old school,turn-based combat. Prove you’re the mightiest of heroes in the landby crushing battles in the PvP arena, successfully completingdungeon raids, and creating the most powerful guild to take intobattle at your side! Key Features: *Retro dungeon crawlingadventure! *A statue in the main town of the top global PvP player! *Six vast zones with over 70 randomly-generated levels, dungeonsand raids. *Thousands of mix and match pieces of loot to upgrade,craft, and recycle. *Capture and evolve over 100 creatures,monsters & powerful bosses to battle by your side! *Equipfantastic pets such as floating pizza, tiny unicorns, and more! 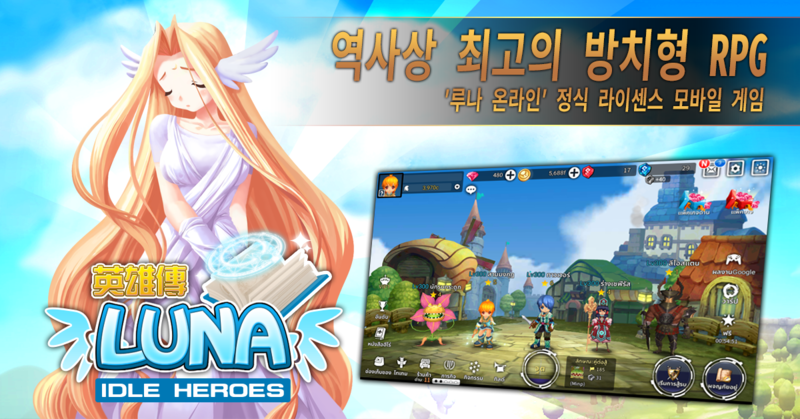 *Team up with friends/guild to tackle ultra-difficult dungeons tofind great treasure! *Level up your guild to unlock a special shopwith powerful bonuses. *Share stories and swap strategies withWorld and Guild Chat. *Original chiptunes soundtrack that soundslike it was ripped straight from a NES cartridge. PLEASE NOTE: BitHeroes is free to play, but some extra game items can be purchasedfor real money. You can disable in-app purchases in your device'ssettings. A network connection is required to play.